"She had always been on the fringes of my thoughts this whole time," he said. A 93-year-old World War II army veteran from Virginia Beach, Virginia, recently reunited with the first girl he ever fell in love with after over 71 years apart. 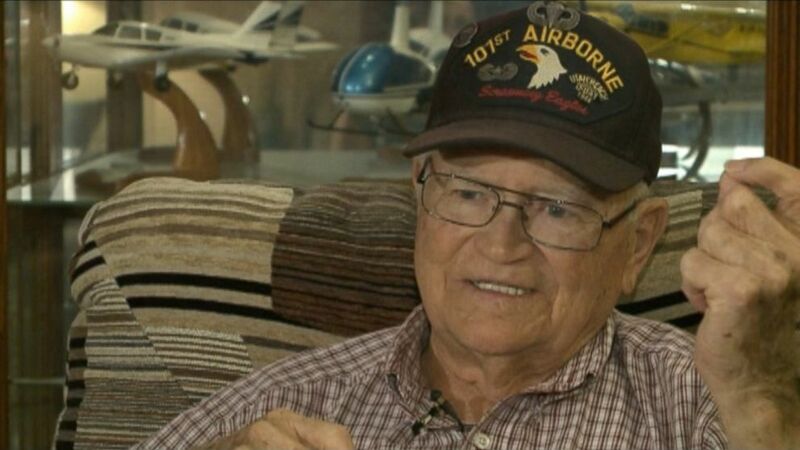 The 101st Airborne Division veteran, Norwood Thomas, first met Joyce Durrant in the spring of 1944 when he was 21 and Durrant was 17, he told ABC News today. The two had met just outside London, where Thomas was stationed at the time. "I was out with a friend, and being young, we had our eyes out for young ladies," Thomas said. "We were on a bridge crossing the Thames when we looked down and saw these two fine, young ladies. We went down, paddled around the Thames in rowboats for a bit, later got some drink and food and Joyce and I just clicked." The two dated for a few months and young Thomas said he found himself head over heels for Durrant. "I think I fell in love with the way that she smiled," he said. "I'd always look at her and think, "My God, that is one, sweet girl." 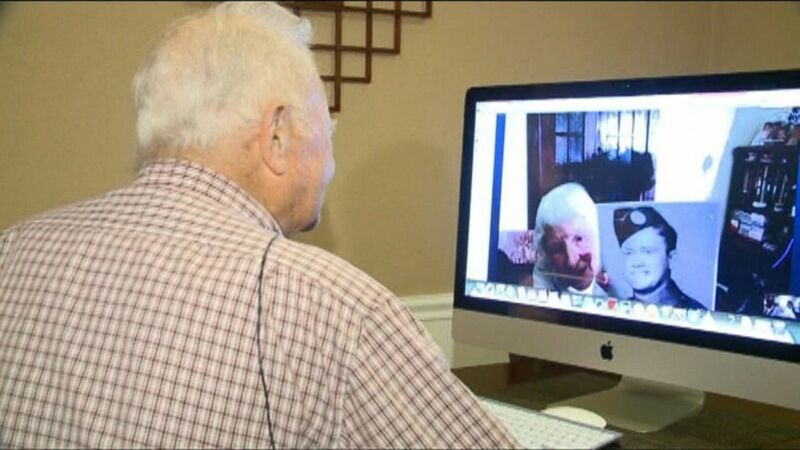 (ABC) Norwood Thomas recently reunited with Joyce Durrant Morris, a girl he dated while he was deployed outside London, UK during the war, after over 70 years apart. But the two were separated in June when Thomas was forced to leave for France for the Battle of Normandy. "My memory is very dim, but I remember that after the war was over and I went back to the U.S., we corresponded via letters for a little bit, and I did send her a couple of gifts," Thomas said. At one point, he said, he asked Durrant to come to the United States and "be my wife," but she broke his heart. "She said she couldn't and that she was just getting into nurse's training, and I realized I had more feelings for her than she did for me," he said. "So I thought that if I couldn't have my first choice, I'd have my second." Thomas added that his "second choice" was a "beautiful choice," explaining that he married a "very wonderful, strong woman" who gave him the best 56 years of his life before she died in 2001 at age 75 from lymphoma. A few years after his wife's death, Thomas found himself reminiscing his younger years and his time with Durrant. "She had always been on the fringes of my thoughts this whole time," he said. "She'd always pop up as a pleasant memory, and it turns out that she'd been thinking of me this whole time too. Her son looked me up on the Internet and contacted me. I found out she'd been living in Australia." Durrant recently surprised Thomas with a telephone call, he said. "When she called me "Tommy," her nickname for me, Oh, my God, it stirred emotions that had been dormant for a long, long time." 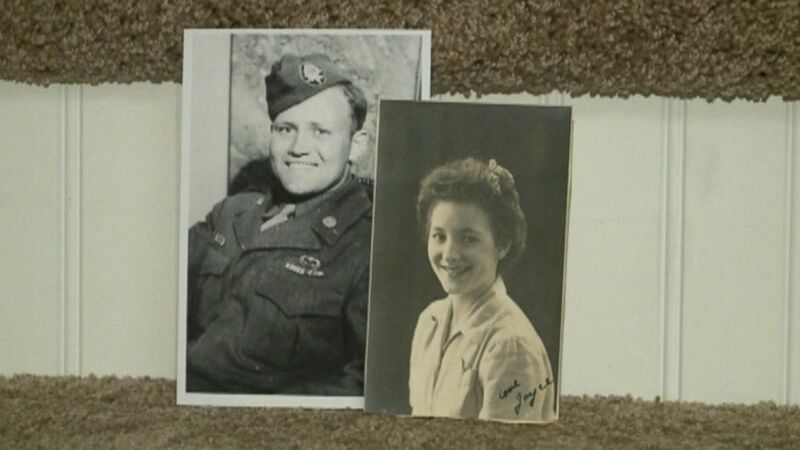 (ABC) Norwood Thomas recently reunited with Joyce Durrant Morris, a girl he dated while he was deployed outside London, UK during the war after over 70 years apart. 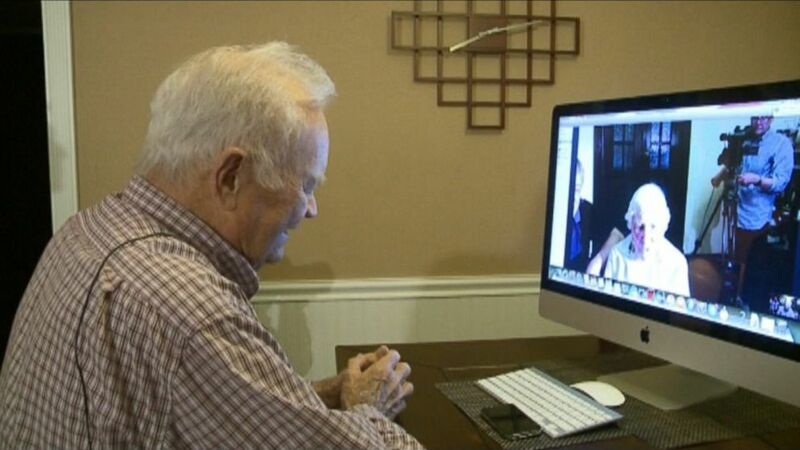 The two also got to see each other face-to-face via a Skype session their sons had set up Friday. They chatted for over an hour, during which Thomas learned Durrant had gotten married, later divorced and hadn't married again since. He also found out that Durrant kept a photo of him that she said good morning to everyday. "I told her that I put her on a pedestal," Thomas said. "I called her the pure, untouched and unobtainable goddess. And there she stayed on that pedestal for the rest of my life." Thomas said he isn't sure he'd call his "strong feelings" now for Durrant love, but he definitely plans to stay in touch and would love to meet up with her in person one day. "The first thing I'd do? Well, I'd give her a hug," he said.